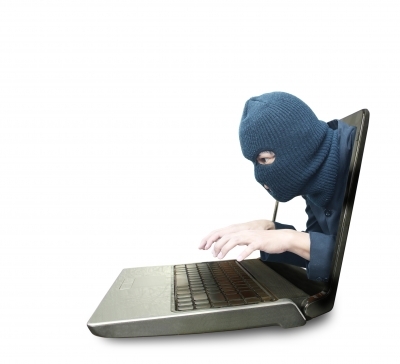 It is an unfortunate truth that small businesses are most frequently targeted by scammers. According to a survey done by Reuters, 31.8% of small business owners fall victim to some sort of fraud. Small businesses have enough challenges, and expensive scams can be detrimental to the growth of the business. If you are a small business owner, read on to learn about the seven most common scams that specifically target you. Scammers will contact a business, usually via telephone, and claim to be Yellow Pages or another directory wishing to update the company’s information. Unbeknownst to the employee who answers the phone, the scammer is recording the conversation. They will then use a doctored version of the phone call as evidence to force the business to pay for being listed in the directory. They might also charge you for ads your business never actually purchased. If you refuse to pay, the scammer can threaten legal action to force you to pay for a phony listing. Scammers will send emails that appear to be legitimate. 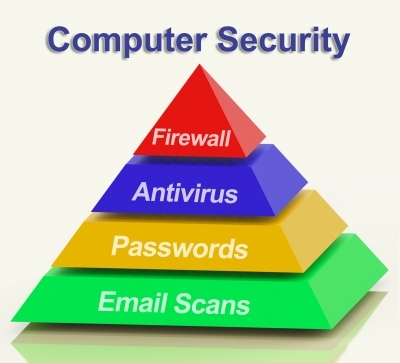 In reality, they actually contain viruses that will automatically download onto the recipient’s computer when the email (or attachments or links contained within) is opened. These viruses collect personal information, such as credit card or social security numbers, about the business and its customers. This information is relayed back and can be used or sold by the scammer. Getting funding is a priority for small businesses trying to get off the ground, and scammers will take advantage of this need with funding kit scams. Scammers will promise you easy access to information about getting low or no-interest loans, government grants, or other investment sources. The scam is that businesses will pay for the funding kit, which will either never arrive or will contain information that is easily obtained for free elsewhere. A customer (often overseas) overpays for an item (often expensive). Then, he or she will encourage you to keep the check and wire the difference back. Be very cautious of this type of activity. The overpayment scam will end with you depositing the check, which will bounce and cost you a bounced-check fee. Plus, if you already refunded the difference, you will lose that money as well as any product you may have already shipped. Successful scams appeal to human needs and weaknesses, including vanity. The false award scam is one of the most common scams to target small businesses. 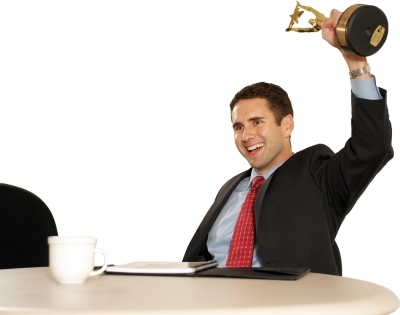 A business is contacted regarding an award or recognition they have won. However, they are asked to pay a fee to receive it. Likewise, the business might be asked to pay dues for an elite membership. The fraudulent organization giving the award may send the business some sort of bogus certificate, and they will likely continue charging the business for annual “membership dues” to the organization. If an agent for an investment company contacts you asking you to fill out paperwork and pay processing fees to qualify your business as an investment with their company, be very cautious. Ghost investing scams can make a lot of tempting promises, collect personal information about your company–and charge you while they do it. With this scam, you lose three ways: you won’t make money, you’ll lose the “processing fee,” and the ghost investor will have a bundle of information that they can use to take advantage of you in the future. An unsolicited fax offering hard-to-resist deals on office supplies, computer hardware, landscaping, or just about anything else will arrive. All you have to do is just fax back your order to a premium number. As long as your credit card information was not on the fax, all you will lose is the exorbitant cost of sending the fax back to the premium number. If your number was included, your credit card will likely be used for unauthorized purchases. With all of these examples of scams, it can seem like everyone is out to get you and your small business. This is of course untrue, though the few unscrupulous individuals out there make it necessary for all small business owners to be particularly diligent. Not all scams are easy to spot, but by adhering to the following advice you can decrease your chances of falling victim to fraud. Educate yourself and your employees about common scams. A little knowledge can go a long way to prevent your business from falling victim to fraud. Keep your business’s computers up to date. Install a firewall, anti-spyware, and continually update your internet browsers. Scammers know that a lot of sensitive information is stored on computers, to take precautions to make sure that your computers and the information they contain are protected. Never wire money to someone you don’t know, and be sure to verify the person if it is someone you do know. Wired funds are nearly impossible to get back once they are sent. Use caution when another person or group contacts you asking for money. As in the case of the award or funding kit scams, these requests are usually fraudulent. Research the person or organization contacting you before taking any action. A quick search can easily reveal complaints and warnings from other businesses. Report suspicious companies or scams to the proper authorities, such as the Better Business Bureau. As the business owner, you must scrutinize credit card accounts for bogus “membership dues” or other unauthorized charges. Make sure your accounts balance out and investigate any suspicious charges. Follow these steps for extra credit card protection. Lastly, remember that if an offer sounds too good to be true, it probably is. Act accordingly. Small businesses are common targets because they lack the resources of larger companies, but do not let that deter you. With a little knowledge about these scams and ways to protect yourself, your small business can thrive and grow. Juli Richardson works for eConsumerServices. She helps educate both business owners and consumers about things like internet fraud, credit card scams and more. The company also tries to help people get their money back if they do become a victim. Do you have a small business article to contribute? View our guest author guidelines.